How your company manages its information can greatly influence its level of long-term success. A great way of improving your business’ level of efficiency is by implementing data analytics solutions. However, a lot of people, including business owners and managers, are confused by what that phrase even means. 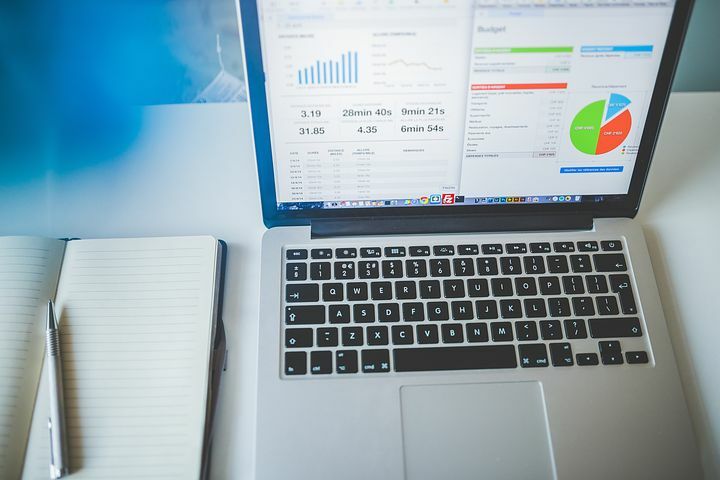 Given the fact that most businesses now operate online and in the public sphere, it is critical that your company uses strategies and processes that can break down your company’s information and turn that information into more sales. Investment in such strategies is essential in differentiating your business. So, here is a comprehensive guide on building a competitive advantage in the contemporary market using various information strategies. What are data analytics solutions? Basically, data analytics solutions are designed to evaluate information and formulate conclusions from that information. This information is often used to guide strategic business decisions and improve your business’ standing in the market. There are many benefits relating to this process. Many of them include developing more insightful and profitable consumer profiles, stronger business decisions, improved productivity and reduced cost levels. Let’s go through some of these in a bit more detail. Hiring a company that specialises in data analytics solutions will be able to help you identify any internal flaws in your business model. A lot of businesses leak unnecessary costs, which could be reduced through simple measures. This could involve more stringent budgeting or leasing equipment and office space out to maximise your earnings on assets. You may find that your labour productivity has fallen quite significantly recently. By examining all available information, you can then move forward with a plan designed to combat that trend. It could be simply changing your hiring policies, cutting down on your labour force or redistributing your labour units across different departments. In the modern world, the market for most goods and services is heavily saturated. There are often high barriers to entry, monopolistic power and high establishment costs. Put simply, being a start-up can be really difficult in the world of modern business. As a result, the best way to get ahead is through developing a strong competitive advantage. Having strong data analytics solutions means you can formulate stronger customer profiles and behavioral patterns. Through this, you can tailor you goods and services to better meet the demands and wants of your customers. Offering a product that is perfectly tailored to customer needs will fare strongly in the market as opposed to products designed to stimulate unnecessary customer purchases. You want to create or tap into a consumer need by knowing their behaviour and motivations. Examining raw information and trends is integral in this. The thing about data analytics solutions is that they can help your business save time. Your business will be able to pinpoint departments and processes that may be lagging behind or undermining your business’ efficiency. This can help you reform those sectors and move forward with a more developed business model. Data analytics solutions can help you enhance your profitability drivers and expand your revenue margins. You need to pinpoint which of your offerings is the most lucrative and desired from your clients. What sells the most? Examining information at your disposal and formulating insights from that can be a decision that makes you money. Customization and personalized services are central in knowing how to tailor your offerings to be more profitable. This process starts with effective data analytics solutions. How your business is perceived by the public could make or break your success. In the world of social media and online selling, how your brand is perceived online is even more important. You want to be able to monitor how many negative or positive mentions your company is receiving every day, week and month. Is a trend emerging or are your numbers stable? Examining electronic word of mouth on sites like Facebook and Twitter are really important when it comes time to evaluating your business’ performance. A really bad publicity story could damage your company’s sales. Nonetheless, having strong data analytics solutions can help you identify concerns, minimize the damage of poor online reviews and counteract the bad publicity with relevant strategies. Data analytics solutions can help you understand the market and develop effective strategies in accordance to emerging trends. Whether it is e-commerce, mobile indexing for websites or the latest fashion trends, how you examine your raw information can greatly assist your company in the long-term. Basically, having a detailed view or projection of the market’s future can help you develop actionable processes and practical solutions to any problems or threats you may encounter in the market. Put simply, the best companies are those that stay ahead with effective data analytics solutions.